In today’s world of entertainment and television, Hollywood portrays various aspects of life in ways that are not always realistic. The legal field is not immune from the bright lights of Hollywood. CSI draws a weekly audience of about ten million viewers, so the public gets a weekly dose of an altered reality when it comes to investigations into legal matters. Whether your favorite show is CSI, The People vs. OJ Simpson, or Suits, they all create an unrealistic expectation of what resources are available to investigate legal claims. Gathering information in the real world is a far cry from that on television. While surveillance cameras in major populated areas are quite prevalent, contrary to what Hollywood may have you believe, everyone’s every move is not recorded and the recordings rarely as clear as on TV. There are times when injury causing events are captured by cameras, but obtaining those images can be difficult. Consider a scenario where a person is injured in a collision at an airport terminal. The event would likely be caught by one of many security cameras in the terminal. On CSI you would likely see the investigators go into a high-tech security office with dozens of monitors on the wall to review the video recorded for the day of the collision. They would find the one camera that captured the entire collision and be able to download the high definition recording to use in their case. That’s Hollywood, not the real world. While there may be a security office at the airport with dozens of monitors, Government Code through the Texas Homeland Security Act considered all such video confidential. In fact, the agency governing the airport can outright deny a lawyer’s request for the video regardless of how relevant the video may be to the injured party’s claim. Only in very narrow circumstances is such governmental security video disclosed. So, while shows like CSI would lead you to believe that government security video is just a call away, the reality is that this type of evidence can be extremely difficult and in some scenarios impossible to get. 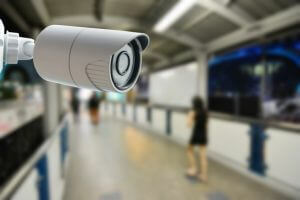 Video from private security cameras is easier to obtain. Hollywood is good entertainment, but it is not reality. The attorneys at PERDUE & KIDD use real-world investigation techniques to support our clients’ claims. 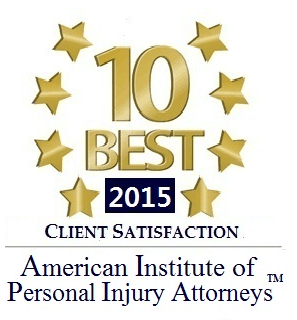 If you or anyone you know has been injured in any way, contact PERDUE & KIDD now and we will get to work for you. To read more of our blogs, CLICK HERE. © 2015 by Perdue & Kidd. All rights reserved.